I am an English teacher in Brazil. I work with students from 11 to 17 in a public school. 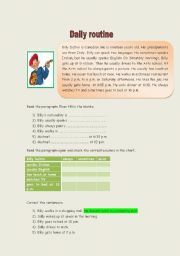 This is another worksheet to practice frequency adverbs and affirmative and negative forms of Simple Present. 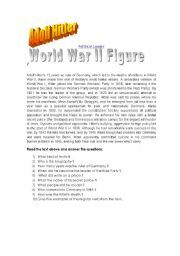 I hope it is useful for you. 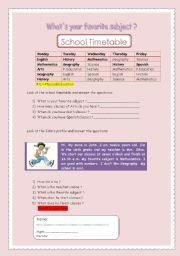 This is a worksheet to practice frequency adverbs and affirmative and negative forms of Simple Present.I hope it is useful for you. There are two pages. 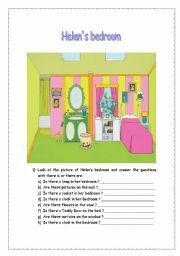 A simple worksheet to practice there is, how many and colors. I hope you like it. 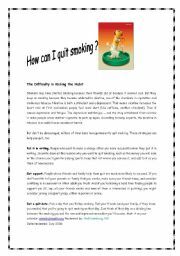 How can I quit smoking ? 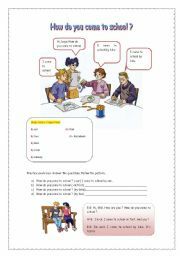 This worksheet is good to practice possessive adjectives, pronouns and adjectives. I hope it is useful. Ximon. How do you come to school ?